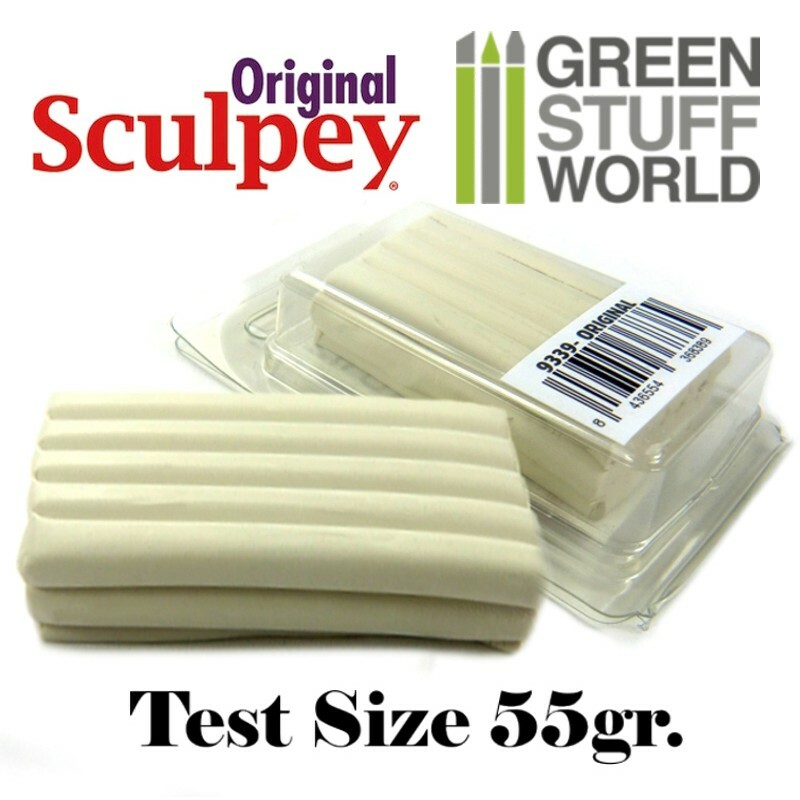 Michigan Toy Soldier Company : Green Stuff World International - Sculpey Original 55 gr. Sculpey Original (55 gr.) This Polymer clay is soft and pliable, and it works and feels like plasteline but will not dry out when exposed to air. After baking, it can be sanded, drilled, carved and painted with water-based acrylic paints. It can be used alone, but it is better to use it to mix with Super Sculpey Beige / Medium / Firm to improve kneading process, reduce the hardness of the material, and also obtain a cheaper material to work with. If used alone, it tends to stick more easily to the working tools, but mixed improves the super sculpey used as a base. As all polymer clays it won’t harden until is baked during 15 minutes at 130ºC (275°F). Baking may be done in any regular oven. This Set is coming with 1 block of 55 gr. of Sculpey Original.